On Thursday 21st and Friday 22nd March, the DARAJA consortium partners hosted a technical workshop in Nairobi with the Kenya Meteorological Department, residents and community leaders, media stakeholders, city responders and municipal representatives. Following this, Gea Mikic (Knowledge Lead, Resurgence) had a Q&A session with Vera Bukachi, Research Director and Office Co-Lead of Kounkuey Design Initiative (KDI), Kenya. KDI is the Nairobi-based DARAJA implementation partner. DARAJA (Developing Anticipatory Risk Awareness through Joint Action) is a UK Met Office project under the UK Met Office’s Weather and Climate Information Services for Africa (WISER) programme. 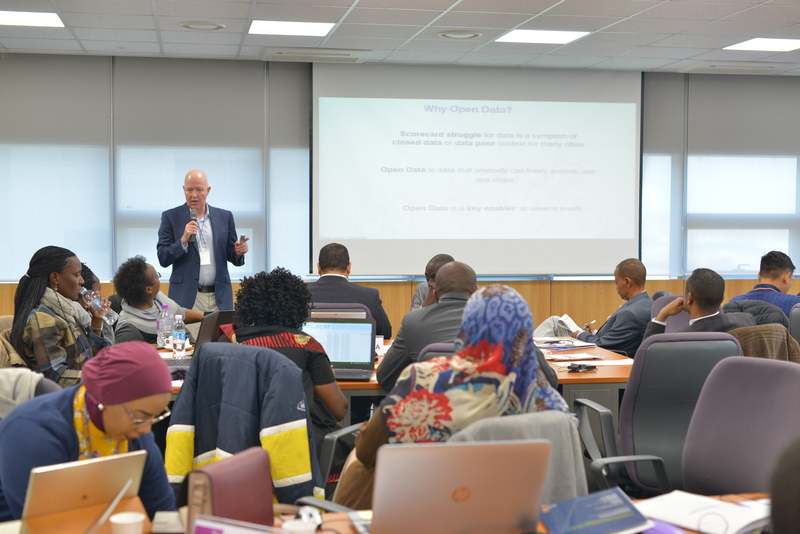 The WISER programme aims to make a step-change in the quality, accessibility and and use of weather and climate information services at all levels of decision making for sustainable development in Africa. A special thanks goes to those who participated, contributed and gave their time to make this workshop a positive, candid and successful one. G: What problem was this workshop was working to address? V: I think the problem we were trying to address in this workshop was reaching a common understanding of meteorological terms, because that helps us put together mutually-understood warnings, advisory messages, forecasts and impact messages, as well as any other kind of information that comes from the Kenya Meteorological Department. Forecast information typically tends to be in quite technical language, and what we quickly discovered was that reaching this “mutual understanding” is quite difficult. When something is expressed in technical terms, you might not know the implications – whether a certain situation is dangerous or not. Such things might not be very clear in forecast messaging in its current format. A lot of today’s workshop was about how to take what already exists and modify it so it can actually be better used by the end-users of the information produced by the Kenya Meteorological Department. G: What wider learnings does this workshop yield on developing effective urban weather and climate information services for informal settlements? V: One of the things we were trying to do at the workshop – having had a pilot co-design process prior to it – was to work on products that are channeled through radio stations, through community leaders, and through social media. We’d gotten to the point where we knew what we wanted to do, or rather, we knew how we wanted to do it, but we didn’t really have the right message or content. One of the biggest successes has been encouraging the Kenya Meteorological Department to change the way in which they currently deliver their forecasts for Nairobi. They’re going to use more visuals and simplify the language a bit to allow people to better understand the information shared in their forecasts and make it more relevant. 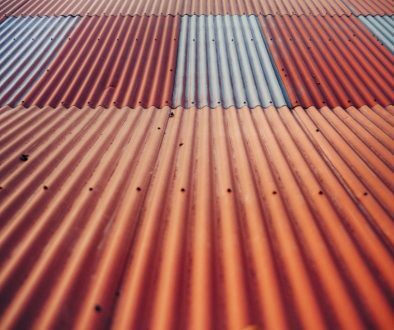 The conversation around communications channels has seen people actually go beyond just saying ‘the radio’, and question how channels are used. So, we’ve had an activity this afternoon that got people to practise a short interview about hazardous weather on the radio. We also had an activity that got people to write short, sharp SMS messages advising their fellow residents and neighbours about a particular risk, hazard or impact that might be affecting them as a result of the weather. We have been looking at the whole chain. Being able to get core products from the Kenya Meteorological Department and really discussing not just the content of impact advice messages, but also what they might look like in real life – how they might be disseminated. Both of these exercises have been really valuable over the last two days. G: Where does this workshop fit into DARAJA? V: This workshop, as far as DARAJA goes, was about progressing the pilot projects. We’re looking at two projects, one at settlement level and one at city level. It was about kick starting – going from saying what we’re going to do, to really thinking about how we’re going to do it. 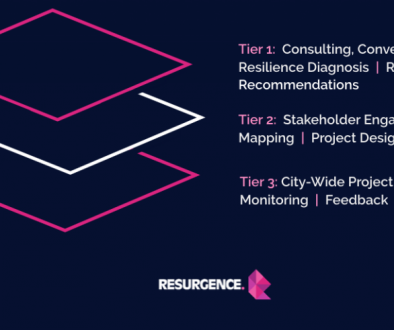 By developing a common understanding across all the key stakeholders, we’re now really in a good position to springboard into specifically working across these different channels. From working with communities, we now know what we need to do and how to get there. From working with the radios, we know what kinds of products seem to work, and what kind of language should be used. From working with the Kenya Meteorological Department, the pilot is now much easier to visualise. So, where do we take this? We’ve reached a critical point, because the long rains are almost upon us. They’ve been delayed slightly by the fact that there’s been a tropical cyclone in Mozambique, Malawi and Zimbabwe. The delay in the start of the season itself is really important news, because this is when everyone is expecting a certain change from the hot, dry season to the rainy season. We really want to be able to approach the rainy season with this type of information, and be able to share it and have people use it. 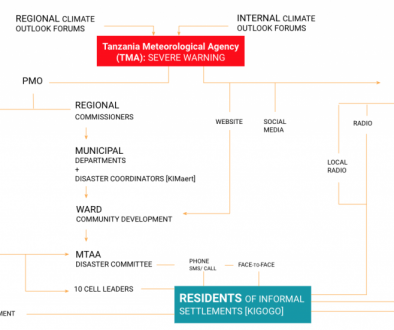 And, because the project is about supporting urban intermediaries, the urban intermediaries we are working with – radio stations, the community, certain actors within the Kenya Meteorological Department, social media – have become fundamental. This really defines the sustainability of the project. A year from now, KDI won’t be there, but these channels will still exist. We want them to be not just producing the information, but using it, transmitting it, getting other people in Nairobi – the 50-60% of people who live in Nairobi’s unplanned, informal settlements – to use that information in a way they aren’t doing right now. Most importantly, I think – even though KDI is more or less the face of the project here, because we have used such a strong co-design process – we really, really want to thank those who participated. They’ve been instrumental in co-designing weather and climate information products that are going to be used for years to come. I have to say, this has been a really big team effort. It’s not just KDI that has been working on this, but Resurgence as well, and we’ve also had a Centre for Community Initiatives (CCI) representative from Tanzania. It’s been a real benefit to have her and to learn about what they’ve been doing in Dar es Salaam. She played a really strong role in the translation work, as a lot of the work we were doing was in Swahili, and Tanzanian Swahili is really quite useful to have in a room when you may not have live translation. So, we want to thank the community leaders, who’ve taken two days of their time to come and work with us; the media stakeholders who may have other things to do, but instead have come in and really helped to shape the conversations we’re having today; the Kenya Meteorological Department who sent some really young and active meteorologists to sit and work with us, as well as their really experienced experts who’ve done this type of work before. I think it’s just been absolutely invaluable. We are but a vessel, so to speak.